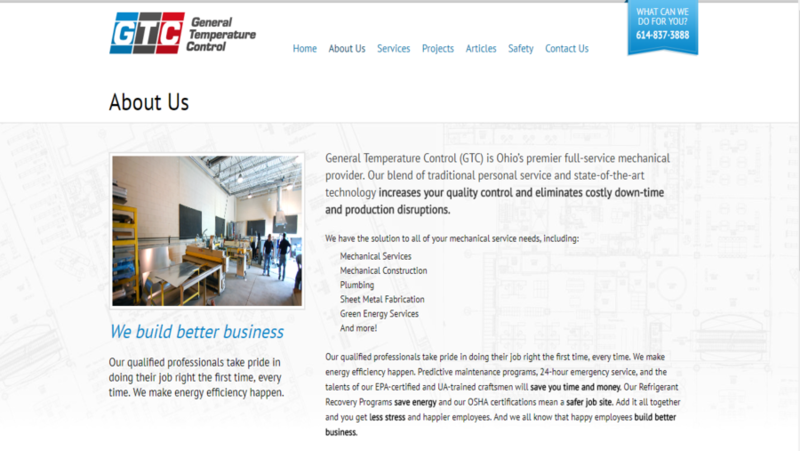 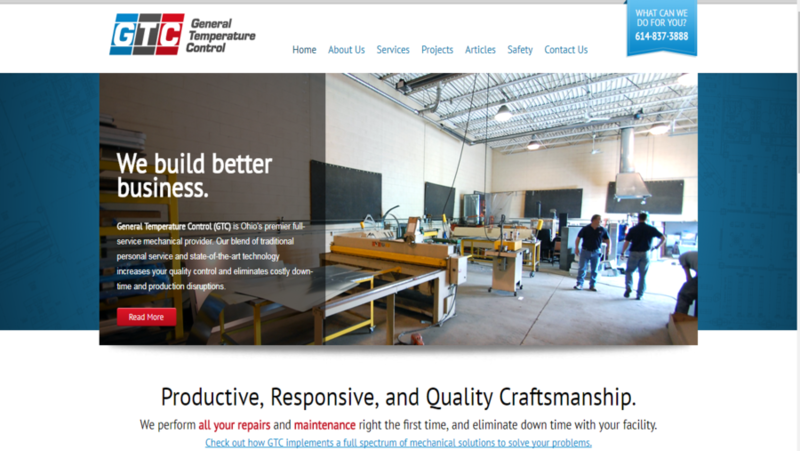 General Temperature Control (GTC) is Ohio’s premier full-service mechanical provider. 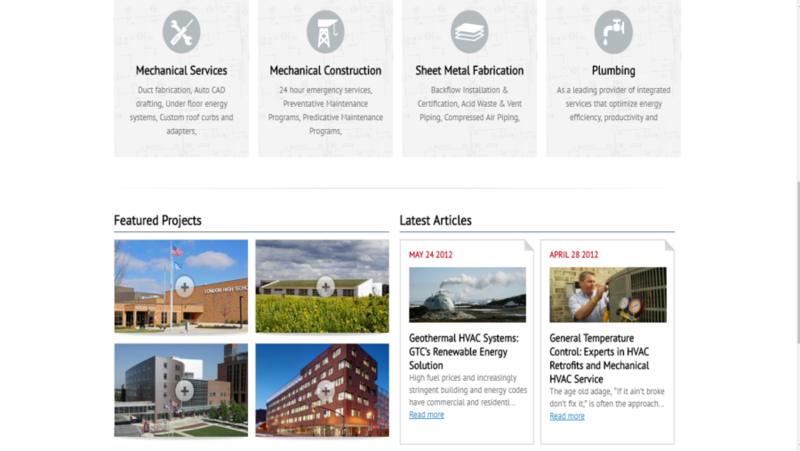 Our blend of traditional personal service and state-of-the-art technology increases your quality control and eliminates costly down-time and production disruptions.Our Business Analysis team started the initial process with website. 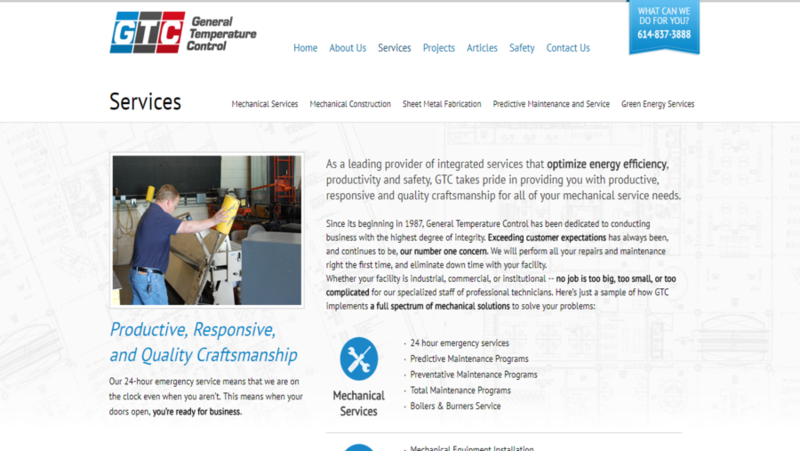 Later the information was passed to designing team and development team of ExpressionEngine and delivered on the time to client.